Chemco is an environmentally conscious company that has provided cost-effective industrial filtration solutions for our global customers for over 45 years. Our goal is to identify and respond to the needs of our customers. Our mission is to differentiate ourselves by developing an uncompromising commitment to putting the customer first. Only by honoring this commitment, can we transform ourselves from an ordinary to an extraordinary company. Throughout our 50+ year history, Chemco Manufacturing Company has re-defined the art of coatings, filtration, and spray booth maintenance. Currently Chemco Manufacturing is still an innovative filtration company that is constantly striving to build "a better mousetrap". We always provide our customers with quality products that are environmentally compatible to meet and exceed their needs. Chemco sees value in surrounding itself with the highest quality employees in their respective fields, people with innovative forward thinking ideas that have an understanding and commitment to uncompromised customer satisfaction. That is why Chemco, its team, and products are considered to set "The Standard of Excellence in the Industry". 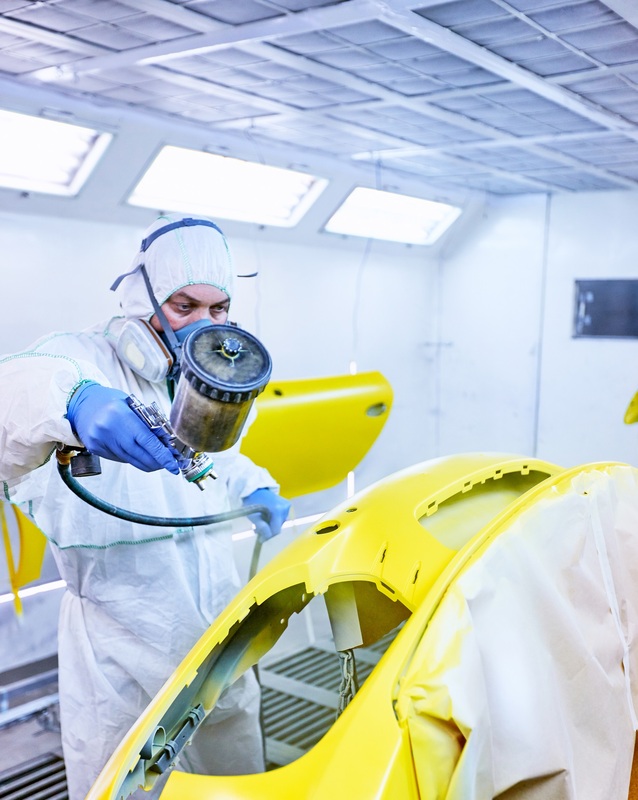 Our advanced filtration solutions have been specifically designed to meet the spray booth needs in a wide variety of industries such as, automotive, aerospace, wood, plastic, and metal. Chemco's recommended guidelines for paint filter change-outs. As well as the OSHA's regulations for spraying operations. OSHA requirements for maintenance of acceptable booth airflow. OSHA standards and Chemco Manufacturing's notes for optimal spray booth air velocity. Step by step guideline for new cartridge seasoning. Chemco would like to take this opportunity to clarify any misconceptions you may have about the disposal of spun-woven media used for paint overspray collection. Easy to use, step by step guide for washing Chemco's Filter Cartridges.